Company locations: Cook, Bloomington, IN; Guidant, Indianapolis, IN; Boston Scientific, Natick, MA; Medtronic, Minneapolis, MN; Johnson & Johnson, New Brunswick, NJ; AVE, Santa Rosa, CA; Cordis, Warren, NJ. Fig. 6. (A) A steerable delivery catheter (Model 10600, Medtronic, Inc.) used to deploy a lead. (B) Image was obtained in our laboratory in an isolated swine heart (22). There are multiple methods of delivering energy during ablation; radiofrequency delivery is the most common. One of the continuing challenges in the area of intracardiac lead development is to downsize lead diameters and at the same time minimize the possibilities for fractures. 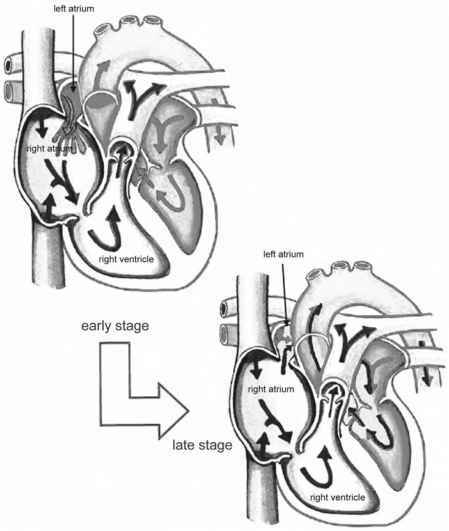 Similarly, there is rapid development occurring in the placement of leads within the cardiac veins as well as in the development of tools for cannulation of the coronary sinus. For example, the Medtronic Attain™ Deflectable Catheter System features a percutaneous needle and syringe to access the venous insertion site, a guidewire to access the vein, an adjustable hemostasis valve to reduce blood loss during the implant procedure, a deflectable catheter to cannulate the coronary sinus and to deliver the pacing lead, and slitters to remove the deflectable catheter. In addition, the Attain Prevail™, a steerable coronary sinus cannulation tool is available from Medtronic, Inc. (Fig. 6). Such catheters need to be sterile and will likely be single use. Ablation is used to prevent tachyarrhythmias by modifying or destroying abnormal tissue. Clearly identifying the site of origin of the tachyarrhythmia (or tissue that is essential for maintaining reentrant activity) is important to the success of ablation (see Chapters 22 and 25); the goal of ablation is to create scar tissue in a critical myocardial area. Because scar tissue is electrically inert, it cannot originate or conduct electrical impulses. Scar tissue is created in the myocardium by either surgical incision or application of energy. Various forms of energy have been employed in the catheter-based approaches of ablation (Table 2). 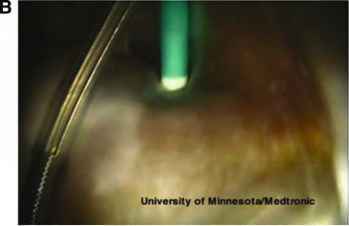 To date, surgical ablation is typically performed during an open chest procedure, but it is likely that with further enhancements of surgical methodologies, it could be performed using less-invasive approaches. Currently, radiofrequency energy is used for almost all nonoperative ablation procedures (Fig. 7). In the past, dc (direct current) shock energy was used for delivering energy to the endocardium. A standard defibrillator was connected to the ablation catheter to deliver the shock. The dc shock had the following undesirable effects that occurred at the catheter tip during delivery of high energy: (1) excessive tip temperature and (2) irregular-shape lesions that then could be proarrhythmic.